Indeed, as far as the Jews are concerned, President Bill Clinton contributed towards a real change in the Administration's outlook, having concluded a series of changes in enhancing Jewish power beginning during under President Reagan and his Secretary of State, Schultz. True, the Jewish political influence was also evident in America of the previous decades. We have already seen a Jewish Secretary of State, Kissinger, enjoying the confidence of President Richard Nixon and there were Jewish Cabinet members under Carter. However, they were usually the exceptions testifying to the rule. Especially. 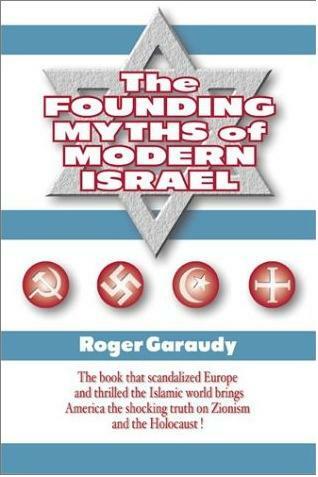 pious Jews were hardly ever appointed to participate in political work concerning the Middle East. The picture has now totally changed and not only about the Middle East For example, every morning at about 6:00 o'clock, several staff cars travel from the CIA center to the White House with senior officers of the American intelligence community, who are about to present to the president and to the four top staffers a PDB - President's Daily Briefing - the term for the most exclusive report in Washington. The document, consisting of 5-7 pages, is often accompanied by top secret satellite photographs transferred by the Pentagon. It is composed in the course of the night by the best American intelligence experts who analyze the telegrams and reports arriving from the CIA's world-wide network of agents. It contains the most sensitive information regarding developments around the world. Its uniqueness, compared to other American intelligence documents, lays in the fact that it almost always indicates the source of the information, whether it is a document stolen by a spy, or an agent or 'mole' infiltrating a foreign government, or whether the source is tapping by means of satellite. If Clinton is in Washington, he holds a short discussion on the contents of the document with the five other addressees: Vice-President Al Gore, National Security Adviser Anthony Lake, White House Chief of Staff Leon Penta, Deputy National Security Adviser Samuel ("Sandy") Berger, and National Security Adviser to the Vice-President, Leon Perth. Two of the addressees, Berger and Perth, are warm Jews. They have reached posts that are extremely sensitive for the U.S. policies. They are by no means exceptions. In the National Securitv Council, 7 out of 11 top staffers are Jews. Clinton had especially placed them in the most sensitive junctions in the U.S. security and foreign administrations: Sandy Berger is the deputy chairman of the council; Martin Indyk, the intended ambassador to Israel, is a senior director in charge of the Middle East and South Asia; Dan Schifter, the senior director and adviser to the president, is in charge of Western Europe; Don Steinberg, the senior director and adviser to the president, is in charge of Africa; Richard Feinberg, the senior director and adviser to the president, in charge of Latin America; Stanley Ross, the senior director and adviser to the president, is in charge of Asia. The situation is not much different in the president's office which is full of warm Jews: the new Attorney General, Abner Mikve: the president's schedule and programs manager, Ricky Seidman; deputy chief of staff, Phil Leida; economic adviser, Robert Rubin; media director, David Heiser; staff director, Alice Rubin; Ely Segall, in charge of volunteers; Ira Mezina, in charge of the health program. Two Cabinet members, Labor Secretary Robert Reich and Micky Cantor in charge of international trade agreements, are Jewish. They are joined by a long list of senior Jewish officials in the State Department, headed by the head of the Middle East Peace Team, Dennis Ross, and followed by many deputy secretaries and even more senior secretaries' chiefs of staff. One of the most interesting Jews from the Israeli point of view, who has rarely been exposed to view till now, is Rahm Emanuel, Clinton's senior adviser in charge or coordinating special projects in the White House. His office is located next to the famous Oval Office. Rahm won extra points from his boss last week, when he succeeded to pass the law for combatting crime. He has become an expert at communicating with Congress and has already had many successes, the most prominent of which was the ratification of NAFTA. Now he is immersed in the passing of the Health Bill. Last Thursday his office was in shambles and he strode around it like a typical Sabra, simultaneously conducting a lively conversation with me, studying the protocols of the debate held at the time by the Senate and watching the report of Wolf Blitzer (also a Jew) on the CNN and being updated by his secretary and three aides on the positions of the senators regarding the vote. "Do you prefer to meet over the weekend or early next week, after this whole nightmare is over?" I asked him. "That would be a real relief," he replied. The following day, after the law passed by one vote, I called to congratulate him: "If you want to come - you have to do it now. The president decided to take a vacation and told us that whoever wanted to enjoy the summer should also take a vacation. So I'm packing and leaving on Sunday morning." Even then he was not calm but nervously fiddling in his chair. He has a face that is more suitable for an Israeli tourist than for a senior official in the U.S. Administration. "You know, Rahm Emanuel is a name that would not be out of place in the Tel-Aviv phone directory," I told him. A large warm smile spread across his face. "Our original name was Auerbach. We opened the first pharmacies in Tel-Aviv and in Jerusalem. My father changed his name after my uncle. Emanuel, was killed in Israel's War of Independence (I 948-49]. My father was then a member of Etzel [IRGUN) commanded by Begin, and it was customary to change names in the underground. Yes, he is still a warm Likud supporter, but he also admires Yitzhak Rabin since he admires whoever becomes Prime Minister as a result of the last Israeli elections. After that war he came to America. studied medicine and met my mother who was then a social work student. I was born in Chicago". Rahm and his two brothers received a warm Jewish education. "You know, we studied at a Jewish school and had private Hebrew teachers. My first visit to Israel was three days after the Six Day War. My father said then that we had to go to Israel. I was eight years old, but I remember it as if it were this morning. The Arabs were completely delighted there was such a joy and it was so very exciting. There were high hopes that as a result the Jews will enjoy freedom and peace. Since then I continued to visit Israel every summer until 1972. Then I began my studies. When I matured I went into politics the pastimes of an American youngster." "What meaning does the connection to Israel and to Judaism have for you today? "Since 1972 1 did not visit Israel, until 1991. Then the Gulf War broke out and missiles landed in Tel-Aviv. I immediately volunteered for one month service in the Israeli army, through the "Overseas Volunteer Unit".2 What I did then to help the Jews was not much. Naturally, it was not combat service. But we helped as much as possible and the main thing was that we were there. Does that answer your question?" Perhaps the most intriguing thing that happened to me personally in the course of the past year. since I have been posted in Washington, was the meeting with the organized American Jewry. The best place to see them as they are, the place where I always came each year to admire them, is the annual convention of the pro-Israeli lobby, AIPAC. This is the place not only to feel the pulse of American involvement in the Middle East, but also where I felt that somehow it helps me to ignore the deep distress inherent in the feeling of loneliness of living in a state located in the heart of so many hostile Arabs. I always asked myself what was the value of the Jewish experience in America as far as Israelis concerned. Did the identification with Israel derive from a deep sensation of a common Jewish fate or was it one of the tools of the local community to garner power for achieving truly equal rights in a mixed society comprised also of many emigrants and members of various faiths? Was the Jewish power in the U.S. a phenomenon which will decrease or to increase? Were the intermarriages of Jews with Gentiles threatening to weaken the Jewish power in the U.S.? Or, so I was sometimes afraid, were the American Jews building a new Jewish cultural center that would compete with Israel? 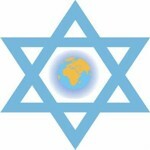 "Adat Yisrael" synagogue in Washington is not only a place of worship. It is a Jewish community center, with a prestigious Jewish kindergarten, a Jewish school with Judaism, literature, culture and of course, Hebrew classes. On Saturdays there are always two separate prayer sessions. The first is the large one, encompassings hundreds of worshippers, which ends in a food blessing at tables tastefully laid with Jewish delicacies. Its members belong to the creme of Washington society: senior administration officials, successful lawyers, rich businessmen. All are wealthy people. Next week, on the Jewish New Year, the prayers will be joined by many other Jews who usually spend their weekends at the most exclusive clubs, or on the most expensive golf courses, or riding the best horses, or at their expensive houses near the West Virginia lakes, or sailing in their private yachts. Next week, like during all Jewish holiday seasons, the most expensive limousines that can be imagined will stop at the entrance to the synagogue, to let out the elegant women, the men mummified in their expensive suits at their side, followed by the well-dressed children. The entrance fee to synagogue is $1000 for a single holiday In addition to that prayer session another, with younger members and cheaper entrance fees, regularly gathers in one of the other halls, where prayers are held according to the customary Israeli style, except for the fact that men and women sit together. This famous session has several other characteristics. Most of the members visit Israel at least once every year. Most of them speak fluent Hebrew. All of them are familiar with the prayer procedures. Only a few of them come out of deep faith. Others do so out of the wish to meet the best Jewish society or to meet a Jewish girl whom they would marry. But the most important reason for their praying is that they feel a close connection with Israel. Those of them whose love for Israel is most ardent watch the Israeli TV news every night. It might sound strange, but the Washington cable station broadcasts the Israeli TV news program every night at half past midnight. The other synagogue competing for the young generation of wealthy Jews is located in Georgetown. It is a fully Orthodox synagogue, but its prayers are conducted in the Israeli style favored by "Gush Emunim". The Israeli flag is proudly displayed above the Sacred Ark alongside the American flag. On each Sabbath the prayers include the benediction for the Israeli Jewish soldiers and the prayer for the welfare of the Israeli government and its officials. Many Jewish Administration officials pray there. They not only don't try to conceal their religious affiliation but go to a given length to demonstrate their Judaism since it may help their careers greatly. The enormous Jewish influence in Washington is not limited to the government. In the Washingtonian media a very significant part of the most important persons and of the givers of the most popular programs on the TV are warm Jews. A significant part of senior media correspondents, newspaper editors and analysts are Jewish and many of them are warm Jews too. Many of them are influenced in Israel's favor by attending suitable synagogues. AP's political reporter, Barry Schweid, and the Washington Post's education reporter, Amy Schwartz, regularly participate in a prayer session which is considered to be close to Israel at the Cleveland Park synagogue. Also there the Israeli flag is posted proudly above the Sacred Ark. Let us not forget in' this context the Jewish predominance in the Washingtonian academical institutions. At the National Center of Medicine the percentage of Jewish researchers is very much higher than their relative percentage in the population. In the fields of security and science, in the film industry the art and in literature, the Jewish influence can only be described as immense, with a corresponding enhancement of the Jewish power. Where did they all spring from? In Israel we are already accustomed to the names of the Jews called Dennis Ross, Dan Kurtzer and Aharon Miller, since they have taken part in each of the Secretary of State's visits to the Middle East in the last six years. But that is a relatively new phenomenon. When Dan Kurtzer, a pious Jew who observes the Sabbath and all commandments of Judaism arrived at the American State Department 18 years ago with a doctorate in Middle East studies, he was told: "You have all the qualifications to serve in the Middle East division, but don't even think of suggesting it because of your Jewish origin." Today he is the boss of those who gave him that piece of advice, so much had the Jewish power increased meantime. When he arrived it was the time when the Arabists ruled the State Department and the few Jews who had infiltrated it preferred to conceal their Judaism. There were precedents, such as the late Arnold Rapel, who was a senior deputy of the Secretary of State's assistant for the Middle East, but his co-workers learned of his faith only when he was buried in a Jewish ceremony. Dan Kurtzer was the first to announce that he could not work on Jewish holidays since he observed all the commandments of Judaism and went to synagogue. Today, when the TV star Roseanne Arnold announced that she intended to produce a series on Hanuka since the Christmas programs are already too numerous, and when public schools in the U.S. are closed on the first day of the Jewish New Year, the story about Kurtzer seems very distant. It happened several weeks ago. The Haiti crisis started to accelerate. I phoned the State Department and requested a briefing from the person in charge of that area. They referred me to Yehuda Mirsky. I introduced myself to his secretary. Suddenly someone picked up the receiver and then t heard a voice saying in perfect Israeli Hebrew: "Good morning, how can I help you?" For a moment I thought that I had mistakenly dialed the Israeli Foreign Ministry. "Where do you know Hebrew from, and are you an Israeli?" "No, I am American, but I spent three years, mainly studying the bible and the Talmud, at the military "Har Etzion" Hesder Yeshiva, with Rabbi Lichtenstein and Rabbi Amital in Gush Etzion." Mirsky, like Kurtzer, belongs to the professional of the American foreign service. Another Jewish official who came to the State Department through a trainees' course is Tom Miller, currently political attache in Athens. He was previously, among other things, Phillip Habib's assistant in Lebanon, and the Head of the North African desk at the time of the dialogue with the PLO and then Head of the Israel and the Arab-Israeli Conflict desk. I met Tom when he served as desk head in the anti-terrorism branch. His interest in Israel began when he was sent to Israel by his father during the Six Day war to help a family friend who had immigrated there some time ago. The friend was inducted to the army and his farm was in a need of help. Afterwards Tom Miller spent six months at Orot collective farm, near Kiryat Malachi. The effect on him was similar to the influence which his first visit to Israel had on Rahm Emanuel. "It was for me a period of euphoria, of great achievements for the entire Jewish people. It was impossible not to identify with Israel in the hour of its magnificent victory", he told me. The second event which left a harsh and life-long impression on him were the stories about the horrors of the Holocaust. "The Holocaust creates a sense of a destiny shared by all Jews. The Jews must act to strengthen Israel so that the Holocaust cannot be repeated", he told me in another conversation. Indeed, all the Jews at the top of Clinton Administration, including Dennis Ross and Martin Indyk firmly believe that the change in the attitude of American Jewry towards Israel came mainly as the result of the Six Day War, since that war had first reawekened the Holocaust memories3 and then filled them with enormous pride. "It was the Six Day war which brought the U.S. Jews out of the closet. They had been there, wielding power and influence in the fields of science and culture but they were rather distant from Israel", said one of the top Administration officials, who is very close to Clinton. "The main goal of our parents' generation was to become part of American society, perhaps even to become assimilated. It must he remembered that the Holocaust was also a traumatic event for American Jews.4 They were unable to do anything for their brothers who were murdered. The Six Day War created tremendous identification with Israel among the American Jews. 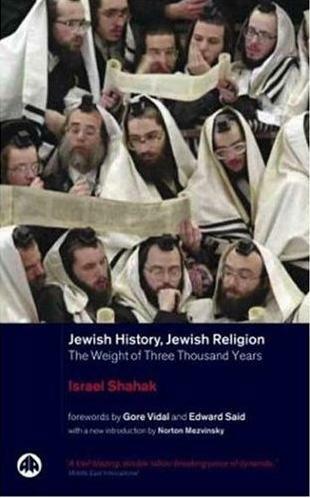 Its main importance was to create a deep link between the Reform Judaism, the largest Jewish tendency in America, and Israel." Today, when there is talk about 51 percent of interfaith marriages, the danger of assimilation appears to be even greater, yet when examining the phenomenon from close up one finds that the trend is opposite. More and more Jewish youngsters seek out the synagogue and Jewish education which are very good for advancing one's career. It is important that Israel do its bit in this area. Rahm Emanuel is a living proof of that. 3 months ago he was married in a Jewish religious ceremony to Amy, a young woman from a Christian family. She converted to Judaism and her Jewish name is now Yad. If Rahm had wanted to assimilate, he would not have married in a religious ceremony. Dennis Ross, so familiar and so friendly to us, has an even more amazing personal story. His parents were divorced when he was two years old. His contact with his father, the son of a cantor from Chicago, was almost totally severed. Two years Iater his mother married a Catholic and moved to California. However, she posed a condition for her new husband that her children were to have a Jewish education. Dennis grew up in a Reform Jewish environment and could have easily assimilated without remaining true to his roots. Although he attended a Reform Jewish school on Sundays, it was more of a social than a Jewish experience. But he did not forget and it was Israel which made a warm Jew of him. In 1970 he visited Israel for the first time with a group of American students in that glorious period of victory after the Six Days War, his connection with Judaism grew stronger ever since. Later he married Debbie, with a traditional Jewish education in Jewish history. In her neighborhood she was very active in the synagogue. At a relatively mature age Ross began to study Hebrew, opened a prayer book for the first time and turned the prayer into a regular habit. His Jewish roots, he proclaimed, were most important to him and influence all his attitudes. His children follow in his footsteps. Almost every Saturday, if he is in Washington and is not hopping between Jerusalem, Damascus and Cairo, he goes to synagogue with his children. His eldest son has already celebrated his Bar Mitzva, and at the ceremony at the synagogue the ambassadors of Syria, Israel, Egypt and Jordan sat alongside each other. Can Israel really sense that at a distance of thousands of miles away there is a flourishing Jewish center that not only deeply admires and supports it, but also feels a shared destiny with it? There is no doubt about it, especially in the matters concerning its existence. All the Clinton's Administration officials dealing with Israel, Ross, Kurtzer, Indyk and Miller being just a sample, may have different views concerning the desired solution for the lsraeli-Arab conflict but they are warm Jews in whatever they do. They sometimes disagree among themselves and they sometimes even disagree with the views of the Israeli governments, first and foremost since they are Americans and their primary loyalty is towards America. But they also firmly believe that the shared interests between the two states are fundamental and permanently enduring. It is because of this deeply held belief that they made a huge contribution to the fact that Clinton Administrations has fully adopted their approach on the issue of relations between the U.S. and Israel. Perhaps because of that belief they claim that they are upset about the Israeli violations of human right in the Territories, and are even more upset when one or another Israeli minister takes an initiative concerning Iraq which does not accord with the American line. "If Israel wants American support for all its interests it also must coordinate its steps with us when this concerns the basic interests of the U.S.," one of the senior officials told me this week, following the news of the initiative of ministers Moshe Shachal and Binyamin Ben-Eliezer to add Iraq to the peace process. The many Jews in Clinton's Administration have not been created by a design, but their large number is it not due to chance either. The American way of life supports the achievers. Despite the previous Jewish generation wish, perhaps, to assimilate, it gave its children the best education and not necessarily only in Jewish religion. It was especially their achievements and ability which, while also preserving their Jewish roots, brought the present generation of Jews to their present positions of enormous influence. Dennis Ross, the founder of the theory of "the confidence building measures" between Israel and the Arab states, is a typical product of that Jewish generation in America. Their power might certainly boost the confidence of the Israeli Jews in the eternity of the Jewish people and dull their sensation of loneliness among the Arabs. Incidently, although the Jewish power in the current Democratic Administration is so huge, there are also many warm Jews heading for the top positions in the Republican Party. I met Paul Wolfowitz, for example, who was the senior deputy of the American Defense Secretary in the Bush Administration in the course of a visit to a Patriot missile base during the Gulf War. When he was received by the commander of the base, whose name was emblazoned over his chest, Lieutenant-Colonel Crimkowitz, his face glowed: "You're Crimkowitz, I'm Wolfowitz. We both have relatives here." That does not mean that they are all like that. Even in America there are and will be people with Jewish roots who do not support Israel, to say the least. Such was the former American Defense Secretary, Caspar Weinberger and such is Richard Hass, Martin Indyk's predecessor on the National Security Council. But now they are certainly exceptions. Perhaps the rabbi at Adath Yisrael synagogue intended to compliment Bill Clinton on his warm attitude towards the Jews and to strengthen the loyalty of his Administration Jewish officials to America. Rahm Emanuel told me that Clinton's proximity to the Jews should be explained by his love for human beings which he exhibits on every conceivable occasion. Others mention the Jewish environment during his studies in university. I would add to that a mixture of various factors, of which certainly the most important is the great admiration for Israel he exhibited following the Six Day War. Clinton was also made conscious by his many Jewish friends about the distressing memory of the Holocaust, which still haunts the leaders of the U.S. Jewish community and about its importance for the continual support of Israel which is obligatory on the U.S..
1. According to the Jewish religion the obligation to follow the rules and laws of a Gentile government is limited to some extent. For example, its custom and currency regulations of such government need not be followed by pious Jews in all cases. On the other hand, the regulations of a government in which pious Jews have a predominant influence, even if it contains also some Gentiles, have to be strictly obeyed. 2. By a special permission of the U.S. Administration, which is not often mentioned in the U.S. media for reason clarified in this article, the American Jews can volunteer to serve in the Israeli army and some of them often do so, especially during Israeli wars. The number of the U.S. Jews who rushed to volunteer in the Israeli army during the 1982 invasion of Lebanon, and who "helped" it to besiege Beirut was quite big, but since the Israeli censorship banned any mention of them they were "invisible" to the U.S. media. No other army enjoys a similar privilege. The service of the U.S. Jews in the Israeli army is not supposed to include combat duties, but only such things as helping to repair tanks. Some of it certainly takes place in the Territories, including the Golan Heights. 3. Needless to say, these "Holocaust memories" are a fake. The Israelis were not only not afraid but sure of victory before the Six Day War and of course Israel faced no danger during the Gulf War. On the other hand, when the Israelis were really afraid during the 1973 October War, not of "a Holocaust" but of a stalemate affecting their interests, the American Jews swallowed all the stories about the supposed Israeli victory. 4. Actually it was not a trauma at the time when the Holocaust happened. The trauma developed much later, when the U.S. Jews acquired power. Rabbi Yosef Crozer fell because of his big mouth. "I launder money, a lot of money", he once told an acquaintance. "Every day I take $300,000 from 47 Street in Manhattan, bring it to the synagogue, give a receipt and then take a commission". The man who heard that story from Crozer was, how sad, an undercover Jewish agent of the U.S. agency for fighting drug use, DEA. A month later, in February 1990, Crozer was arrested by agents on his way from 47 Street to Brooklyn. They found on him prayer books, five passports, and also $280.000 dollars in cash in the trunk of his car. He traveled that route every day. He would arrive at the gold trading office on 47 Street in the afternoon, and leave shortly later, carrying suitcases and bags loaded with cash. From there he drove to the "Hessed Ve'Tzadaka" ["Mercy and Charity"] synagogue in Brooklyn, which was turned into an instrument for laundering millions of dollars, the revenue from drug sales in the New York area. That was how Crozer made his living. Assuming that the commission for laundering money ranged in the area of 2-6%, Rabbi Crozer can be presumed not to have suffered from hunger. The investigators who questioned him faced a simple task, A respectable and pious Jew who never imagined that he will be interrogated, a son of a highly respected rabbi who headed a large yeshiva in city of New Square, Crozer broke down and cooperated. But then his lawyer, Stanley Lupkin, argued that his client, a pious Jew, had no idea that he was laundering drug money. Crozer, according to his lawyer, believed that he was laundering money for a Jewish diamond trader "who trades in cash and not for Gentile drug traders, and was using the situation to make some extra money just for his synagogue. It seems that this argument had some effect since Crozer was sentenced to one year and one day imprisonment. In exchange for a lenient sentence, he supplied his interrogators with valuable information which helped them to capture a person whom they had been seeking for a long time: Avraham Sharir, another pious Jew, the owner of a gold trading office on 47 Street, who was really one of the biggest sharks of laundering drug money in New York City. Sharir, an Israeli Jew aged about 45, to whom we will later return, subsequently confessed to having laundered $200 million for the Colombian drug cartel of Kali. The drug trade is considered to be the most profitable branch of crime in the world. The profit margin ranges in the area of 200% for cocaine and 1, 200% for heroin. The amounts of money circulated in the branch are larger than the budgets of many small states. The temptation is great. The main problem of the Colombian drug barons who control a significant part of world drug trade is how to get rid of the money. It is a problem of the rich, but a nagging one. Two major Colombian drug cartels operate in the U.S.: the Kali cartel and the Medellin cartel. The killing of the head of the Medellin cartel, Pablo Escovar, by Colombian authorities in December 1993, greatly weakened this cartel, which had controlled the drug trade in the New York area. The Kali people, in contrast, hold a monopoly over the Los Angeles and Miami area markets. At present, the Kali people distribute about 80% of the world's cocaine and a third of heroin. The Kali drug cartel makes $25 billion each year within the U.S. alone. The money must somehow be shipped out of the U.S. without arousing the attention of the American authorities. Besides, the cash must be given a seal of approval and, one way or another, become legitimized. Around this complex issue a mega-business has sprung up: laundering and smuggling drug money. American customs investigators have found millions of dollars in containers supposed to have contained dried peas, in double-sided gas tanks, in steel boxes attached to freight ships. In 1990 they found $14 million in cash in a shipment of cables, supposed to have been sent from a Long Island warehouse to Colombia. According to records found on the site, that was shipment no.234 (multiplied by 14 million, calculate it yourselves). The same year, at Kennedy Airport, in a warehouse, 26 large containers were found which were supposed to have contained bull sperm. The latter was not there, but there were $6.5 million. In May of this year American investigators raided a bowling ball plant in Long Island. They picked the balls, cut them in half and found within 210,000 dollars, in used $100 bills. Despite their active imagination, the drug barons find it hard to keep up. $25 billion is a lot of money and it must fill a lot of space, since most of the money gained in drug deals conies in bills of $l0-20. And that is how the match was made between the drug cartels and the 47 Street in Manhattan, That street is the world center for trading diamonds, gold, jewels and precious stones. Hundreds of businesses are crowded in there, between Fifth and Sixth Avenue, Shops, businesses, display halls. In the back rooms and on the top floors, far from public access, the action takes place. That is where the major traders sit, that is where the deals are made. Diamonds, gold and jewels pass from hand to hand, with a handshake. The frantic activity there offers an ideal cover for illegal transfers of money. "In fact, even legitimate business appears, on 47 Street, to be dark and mysterious", said a customs official. "Merchandise arrives constantly, boxes, suitcases and packages are constantly opened, everything arrives in armored cars, under heavy security and a shield of secrecy. Now, go find the black money". "The match between the drug barons and 47 Street", an American customs investigator told "Ma'ariv", "is ideal." The gold and diamonds industry circulates large amounts of cash. The diamond traders are accustomed to transporting large amounts of money in cash, from one state to another, efficiently and without leaving a trace. Large amounts of money pass from hand to hand on 47 Street, without arousing suspicion. A diamond trader might launder $5 million every day, without arousing special attention. It is difficult to monitor the deals, to locate the sources of the money and it is very difficult to infiltrate that closed field, which is based on personal acquaintance and trust. Added to it is the fact that in the course of the past five years, the diamond industry on 47 Street has been in a deep slump, which led many traders into bankruptcy. "A trader like that", said an investigator, "faces the choice of bankruptcy or making easy, quick and relatively safe money. Not everyone is strong enough to withstand the temptation". All of that would not have been of interest to us if not for the massive Israeli or Jewish presence on 47 Street. "At least 50% of the diamond traders there are Israelis", so an Israeli diamond merchant who wishes to remain anonymous, told "Ma'ariv". "Not a few Israelis also operate in the field of jewels, precious stones and gold. All of them came to New York to make fast money, conquer the market, get their big break. Not all of them succeeded, especially not recently". But Jewish presence on 47 Street is much greater than that. Experts in the field estimate that 75-80% of the active traders on the street are Jews. A large part of them are very talous Orthodox Jews, mainly Hassids. There is also a respectable representation of Jews from Iran and Syria, usually also very pious. One can get along fine in Hebrew on 47 Street. There are many more kosher restaurants in the area than in the entire Tel-Aviv. The place is also the biggest laundry for drug money in the U.S.. The expansion of the phenomenon of laundering drug money in the U.S. in general and on 47 Street in particular, led to the establishment of a special American task force, to combat the phenomenon. The unit is called Eldorado, after the mythical South American city of gold. It is staffed with 200 agents, officials of the U.S customs and internal revenue agencies. Eldorado, established in April 1990, investigates the money laundering in general. Fifty of its agents dedicate their time just to 47 Street. "It is work that demands tremendous manpower, said Robert Van Attan, an Eldorado officer, since the money has to be monitored along the length and breadth of the continent, sometimes also abroad". The target of the Eldorado agents is money, and money alone. They are not interested in drug imports, drug deals or drug dealers. "We want to put our hands on the money. To hit their pockets", say members of the unit. The task is difficult. In America there is no law that prohibits possessing money. On the other hand, when a large amount of cash is found in the possession of a launderer, the agents confiscate the money. If the person can prove that the source of the money was legitimate, he gets it back. That does not happen. The launderers are experienced. When one of them is caught and several million dollars are found in his possession, he willingly hands over the money, but asks for a receipt. "The money is not mine, I want you to confirm that you took it," is the common request. Incidently, their lives depend on that receipt. It is not a simple matter to trail them. The eyes of a typical launderer are glued to his rear-view mirror. He makes sudden stops, moves from one lane to another, chooses long and twisted routes from one place to another. Eldorado has an answer. The investigators follow their targets with eight, ten, sometimes 12 vehicles. If necessary they use one or two helicopters. There is also sophisticated equipment, the wonders of American technology in the fields of tapping. surveillance and code-breaking. In the first two years of its operations, Eldorado captured 60 million dollars and arrested 120 launderers. Compared to the scope of overall laundering, that is peanuts. "That is not the point," say the Eldorado agents. "Obviously, it is impossible, with the existing legal restrictions, to put an end to the phenomenon. Our warfare is psychological". Incidently, Eldorado is not the only agency combatting money laundering. The DEA, the American Drug Enforcement Agency, and the FBI, also conduct lively activity in that field. Not always is that activity coordinated. In recent months the Eldorado agents discovered a new center of operations. It is termed The Cocaine Triangle. Its sides are: Colombian drug barons, Israeli-Jewish money launderers. Jewish-Russian mafiosi. The Colombians funnel the money, the Israelis launder it, the Russian mafiosi (who have recently overrun New York in droves), provide the security and the muscle. A New York journalist recently told "Ma'ariv"; "The Israeli Jews are gaining notoriety in the money laundering market. You need only look at the list of arrests and the inditements of the past 3 years, in order to grasp the enormous scope of Israeli involvement in that field". One reason for the growing power of the Jews in the laundering drug money business is the Law of Return with its easy possibility of escape to Israel. In May 1993, five members of Jewish international laundering which had worked with the Kali cartel were arrested. The ring was exposed following an FBI 'sting' operation, in the framework of which it established a dummy corporation called Prism, which served the gang for laundering money. In the course of less than one year $22.5 million were laundered through the company. The head of the ring was an Israeli named Zion Ya'akov Evenheim, known as 'Zero' Evenheim who had a dual Israeli and Colombian citizenship, stayed in Kali, from where he coordinated the activity and supervised the transfers of money. Most of the ring's members were arrested in May 1993. Evenheim was arrested by Interpol in Switzerland and extradited to the U.S.. He is cooperating with the FBI. Additional Israeli detainees; Raymond Shoshana, 38, Daniella Levi, 30, Binyamin Hazon, Meir Ochayon, 33, Alex Ajami, 34. Many other suspects, to whom we will later return, escaped to Israel, and there are difficulties in extradicting them to the U.S. In the course of the investigation, FBI agents recorded hundreds of hours of conversations in Hebrew among the Israeli suspects. For the purpose of translating the material, they employed, among others, Neil Elefant, a Jewish resident of New Jersey who had lived in Israel for some time and who spoke fluent Hebrew. Elefant translated and translated, until one day in May 1992 he was amazed to discover among the speakers a friend, Jack Zbeida, a Jewish antique dealer from Brooklyn. Elefant was in a difficult dilemma. He approached his rabbi, Elazar Teitz, who told him that his religious duty is to warn Zbeida. Elefant then secretly met Zbeida and told him that he was targetted by the FBI. Alex Ajami, an Israeli Jew who was one the heads of the gang, was also present. Zbeida and Ajami hurried to the FBI offering to cooperate, turning in Elefant, who was arrested and charged with interfering with legal procedures. He argued that one of the reasons for his decision to warn Zbeida was the zealousness, almost approaching anti-Semitism, which he found among the FBI agents trying to involve State of Israel in drug affairs. Judge Kevin Duffy sentenced Elefant to 18 months imprisonment. In the meantime the FBI was forced to hurriedly arrest all those involved in the affair. In spite of the hurry, many involved Israeli Jews fled to Israel. Some few of the tens Israeli and American Jews who fled on this occasion to Israel are: Raymond Shoshana, Adi Tal, David Va'anunu, his nephew Yishai Vanunu, Ya'akov Cohen. Most of them came out of the affair with a lot of money which they also took to Israel. The Americans know that the chances of any one of them being extradited to the U.S. are close to nil. The story of Adi Tal is worthy of elaboration. He is an impressive youth, handsome, with a good record in the army, a son of a fine Israeli family, formerly a security guard at El-Al. All that did not hinder Tal from becoming involved in laundering drug money already in 1988. In March 1988 the American authorities arrested 11 members of the laundering ring, including Tal and his good friend, also an Israeli, Nir Goldstein. The investigators at the time said that Tal and his friends had operated cautiously, used aliases and codes and lived in constant fear. They would receive large amounts of money from Colombian couriers, divide the money into sums of less than 10,000 dollars (any amount over 10,000 dollars that is deposited in an American bank requires a report), deposit the sums in banks and convert them into travellers checks which they sent, by means of international couriers, to a dummy corporation in Panama. The most popular code which Tal's gang used was taken from diamond industry. When information was transmitted about the transfer of a diamond of 30.4 carats, it meant the sum of $30,400. Tal worked for the money launderer of the Kati cartel, Jose Satro. The Colombians constantly pressured him to increase the scope of the laundering. Tal was afraid. "He lived in constant fear, his bags were always packed and he was prepared to flee at any minute to Israel", one investigator said. An important member of Tal's laundering ring was Rabbi Shalom Leviatan, a Lubavitch Hassid, head of the branch in Seattle. It is assumed that all the considerable political power of of these Hassids and of their rebbe (then alive), were exerted in favor of that laundering ring. 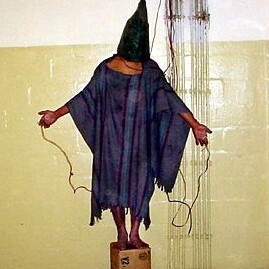 "My intentions were good" Leviatan said after he was captured. "A person learns from experience", he added. According to him, he did not know that he was laundering drug money, and he was certain that he helps Iranian Jews trying to smuggle their money out of Iran. Leviatan got out cheaply and was sentenced to 30 days community service. Tal, who confessed to laundering $10 million, was sentenced to 52 months imprisonment. He served his sentence at Danbury jail in Connecticut, but did not learn his lesson. When he was released, he joined a gang which was captured in the FBI's 'sting' operation. This time he managed to flee to Israel where he apparently remains, to this day. The gold and diamond industry has recently become the favorite of the drug barons, due to the numerous possibilities for laundering which it contains. One of the popular methods is laundering by means of trading in gold. This is how it works: the drug money is converted into gold, which is smuggled to Colombia, from where it is exported to Milano and used to make jewellry which then legitimately returns to 47 Street. "The funniest thing in this business", say the investigators, "is that the jewellry comes here under favored import conditions because the gold seemingly originates from Colombia, and that state has favored trade conditions with the U.S." There are also other methods. Drug money is deposited in the accounts of diamond merchants as though it were their profits and is later transferred to Colombia. Sophisticated diamond deals are made between various parties with the aim of 'releasing' large amounts of money on the side. Sums of less than $10,000 are deposited in various bank accounts, converted into travellers' checks and are then transported to their final destination. But in spite of the ingenuity, undoubtedly one of the most popular and successful ways to launder money is through Jewish religious institutions, such as yeshivas and synagogues. Since the majority of the 47 Street gold and diamond merchants are religious Jews the process is made easier. The Jewish religious institutions badly need funds. The Colombians drug traders can be generous. They transfer their drug money "us donations, which go to the Jewish religious institutions one way and come out by the other way back to the donors. On the way the synagogue or yeshiva obtain a respectable percentage for its pious uses. Everyone is happy: the drug barons who launder their money quickly and efficiently and the synagogue or yeshiva which makes easy money. The first laundering operation in which a Jewish institute in New York was involved was exposed already in 1984. A ring which laundered about $23 million while making a profit of $2 million operated at the oldest yeshiva in the city, "Tifereth Yerushalayim", located in Manhattan. The laundering was performed for the Kali cartel. The contact man was David Va'anunu, mentioned in the context of the Prism affair, who worked with the cartel's major launderer, Jose Sairo. The yeshiva's representative was a very pious Hassid, Mendel Goldenberger who daily received cash from Va'anunu and deposited the money in the yeshiva's accounts. Goldenberger, who claimed not to have known the source of the money, was convicted of forging bank documents and given five years suspended imprisonment. Vanunu was convicted, sentenced to eight years imprisonment but released much earlier after he became an informer for the DEA. Later, as was stated, he ran into trouble again and fled the U.S.. Nine persons were convicted in that affair, including Rabbi Israel Eidelman, Vice President of the yeshiva, and some of its dignitaries. Tiferet Yerushalayim faced financial difficulties at that time. Its leaders attempted to maintain the number of students by paying them from the laundering drug profits. That phenomenon, incidently, is very common among the New York Jews. Many Jewish congregations are dying out because their members are leaving the city or their former neighborhoods. Thus, they are losing their sources of income and facing large debts. In that situation the road is short for the synagogue or yeshiva to launder drug money as a pious duty, since it means easy money, and lots of it. "Laundering money is extremely beneficial to the yeshivas and other Jewish religious institutions", said a source close to the investigation. "They are in a difficult situation and therefore they turn a blind eye to the drug problem. They don't ask what is the source of the money as long as it keeps coming in". The attitude of the pious Jewish community, according to the same source, is "drugs are sold anyway. As long as it does not harm our own community and only does good for it, it doesn't matter if we benefit from drug trade". The role of the Israel is is, in many cases, to make the connection between the religious Jewish communities of New York and the Colombians. The Colombians are more satisfied with this method of laundering than with any other because, for political reasons, it is a relatively secure way which could be assumed initially not to be forcibly investigated by the U.S. authorities. Only in July 1990 the situation began to change. The Federal authorities renewed an investigation of some Williamsburg's Hassids, owners of jewellry shops on 47 Street, who were suspected of laundering drug money. The investigation focussed on brothers Naftali, Miklosh and Yitzhak Shlesinger, and on Ya'akov Shlesinger (Naftali's son) and Milon Jakoby his nephew. The investigators found evidence of close connections between the Shlesingers and the Andonian brothers, members of a Colombian family accused of laundering almost one billion dollars. The Shlesingers were suspected of laundering money by means of a subsidiary called Bali, through checks drawn from the account of "Camp Yereim" [Camp of the Pious"] - a Hassidic summer camp in the Catskills. Camp Yereim denies any connection with those checks. On April 7 of this year, Rabbi Abraham Lau, a prominent Hassid from "Magen Abraham" synagogue in Los Angeles was convicted of conspiring to launder drug money. Lau is married to the niece of the Satmar Rebbe, Moshe Teitlebaum who wields enormous political influence in New York State. Unfortunately, Lau told an undercover FBI agent about a "sacred network" of Satmar Hassids in which other Orthodox Jews had also participated. The "sacred network", whose membership was strictly limited to pious Jews, operated in the 47 Street area in New York and was capable of laundering up to $5 million weekly, thanks to its widespread contacts with Jewish charitable institutions. Unfortunately, law enforcement agents in New York do not believe that the "sacred network" and the many other Jewish laundering rings have any sanctity. In the past year the Federal activity concerning Israelis and Jews on 47 Street has greatly increased. The investigators now employ the services of many Hebrew translators since the rings, even if composed of native American Jews, employ only "the sacred language" (i.e. Hebrew] for their operations. Aharon Sharir is, undoubtedly, the major Israeli launderer. He was born in Iraq about 45 years ago, immigrated to Israel with his family at the age of one year, graduated from an Israeli high school, served with distinction in the army and became an expert in fixing delicate mechanical instruments used to mend gold jewellry. In 1979, Sharir came to New York on a tourist visa with $6,000 in his pocket. He went into the gold business, established a small plant for manufacturing gold jewellry and did well. Then, through another Israeli diamond trader, he discovered the laundering business. Sharir reached a laundering scope of about $160,000 per day, six days per week (laundering is not done on the Sabbath) but in 1985 his wings were clipped when he was accused of having swindled a New York bank to the tune of $3 million. He quickly returned the money and was sentenced to a fine and a suspended imprisonment sentence. In 1988 Sharir's laundering activities reached amazing heights. His gold shop on 47 Street became one of the greatest laundering centers in the entire U.S. "Three times a week", Sharir told the court at one of the many trials in which he is now testifying, "we received the cash. It used to arrive in canvas sacks, in cardboard boxes or in suitcases. Sometimes there were a million dollars in one shipment". Ruy Lopez, representing the Colombian cartels would especially arrive from Miami equipped with a document sent from Colombia which contained detailed coded instructions about where to send the money. "Even with automatic money counting machines it was difficult to count the money", Sharir testified. "It arrived in bills of 5, 10 and 20 dollars. The bills, most of which had been used to sniff cocaine, had a strong odor of coke. A real stink. My employees could not stand it. Every 2-3 hours they had to take a break, go out for some fresh air, so as not to get high". Sharir's role was to see to it that the money would be transported out of the U.S. and arrive in the bank accounts of the Colombian cartels in Panama and in Colombia. For that purpose he deposited money into his bank accounts, as though it was his profits from the shop, purchased assets for the use of the drug cartels, bought and sold gold at inflated prices from merchants who were part or the conspiracy, concealed money through various manipulations. Finally, all the money was turned into checks drawn on the accounts of Jewish religious institutions. Sharir received from the Colombians for his labors 6% of the turnover. Within a short period of time he moved with his family to a luxurious house in Woodmere, on Long Island. He purchased a luxury Jaguar car, showered his wife, Miryam, with expensive jewels, and donated lavishly to Jewish charities. The troubles began in late 1988. In December his shop was raided by American customs and internal revenue agents, after they received notice from his banks concerning the volume of his deposits. They brought dogs to sniff out drugs, carried out a meticulous search of the offices and took away cars full of documents. Sharir did not lose his cool. While the agents were milling around his offices, he managed to conceal $600,000 which were in his bank account at the time, and transfer the money to a safe place. Simultaneously, Sharir fell out with his Colombian operators who claimed that he stole from them $26 million of drug money. Sharir, who denied the accusation, hired an Israeli professional investigator, Lihu Ichilov, to solve the mystery. Ichilov soon became Sharir's partner. He flew to Panama, established two dummy corporations there, opened bank accounts and improved the laundering routes. Following the Federal agents' raid on his offices Sharir did not give up. Within two weeks he opened two other offices on 47 Street and resumed work. When asked by one of his lawyers how he had expected to escape the attention of the law, Sharir replied: "I changed my system and believed that now, with God's help, I would never be caught". Sharir's new system included Rabbi Yosef Crozer whom we discussed earlier. Crozer's big mouth brought Sharir down, and he was arrested in March 1990. Crozer also led to Sharir confessing to having laundered $200 million. His wife, Miryam, was arrested together with him. Sharir, under the pressure of the interrogation agreed to cooperate in exchange for his wife's release and for the cancellation of the charges against her. The prosecution agreed. It was an extremely good deal as far as the prosecution was concerned. For three months Sharir fed the Federal investigators with most valuable information concerning the Jewish laundering industry. The information included names, methods of operation, codes, and bank accounts. Sharir led them to the exposure of what is termed the new "cocaine triangle". He led to the incrimination of more than 35 Jewish launderers, the capture of $10 million and the break up of numerous Jewish laundry rings. Among others, Sharir incriminated the biggest laundering shark in the history of the U.S., Stephan Scorkia. Sharir, who testified at his trial, directly led to his conviction. Scorkia was charged with laundering $300 million, and was sentenced to 660 years imprisonment. Sharir is now enrolled in the U.S. witness protection program. He lives under an assumed identity, released on bail, travels under heavy security between New York, Rhode Island, Arizona and other states, testifies in criminal trials and goes on. His wife, Miryam divorced him shortly after the affair erupted. She refuses to comment on the matter and told Daily News; "I have no intention of talking. I divorced Aharon in order to distance myself from him and from his friends, and that is exactly what I am doing." Sharir was directly responsible for the flight of at least 35 Colombians from the U.S. back to Colombia. One of the escapees was Duvan Arbolda, one of the Kali cartel's major launderers. Arbolda was charged in a Manhattan court of laundering on a vast scale, following Sharir's testimony. When he completes testifying, Sharir himself will stand trial. The prosecution will agree to a very low sentence, but this does not improve his chances of survival. "At present, Aharon Sharir heads the Kali cartel's wanted list" said an American customs official. Charges have also been served against Lihu Ichilov, Sharir's partner. However, Ichilov fled to Israel on the eve of his trial, in January 1991. That was the period of the Gulf War and the judge, Richard Owen, who tried Ichilov in absentia, said: "Mr. Ichilov apparently prefers to face the horror of Scud missiles falling on Israel than the American justice system". Note 1. The Satmar Hassidic sect fiercely opposes Zionism. The present rabbi's uncle and predecessor (the position of a rabbi among the Hassids is limited to the members of "the sacred family"), Yoel Taitelbaum, had published learned books in which Zionism was described as an invention of Satan, Israeli victories (especially the one in the Six Day War) were attributed solely to the direct Satanic help given to the Israeli army, while the Holocaust was being "justified" as the Divine punishment of the Jews for the sin of some of them becoming Zionists. The present rabbi, although formally continuing the teachings of his uncle, has the most amicable relations with the Israeli government. 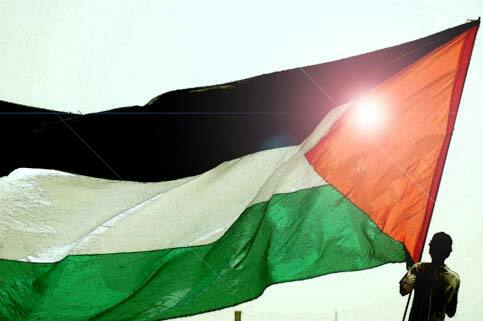 - Palestinians won't get their independence until Americans get theirs! of Jews in the present Clinton administration. The Jewish U.S. Ambassadors mentioned here have been chosen not because of their ethnical origin, but because of their political ideology and POLITICAL position regarding the Palestine question, as POLITICAL actors. They are mentioned not because they are Jews, but they are mentioned because we believe that the Jewish lobby in the US has created a dangerous concentration of power which we believe is troublesome to the democracy of that country and dangerous for the peace in the Middle East. Just the fact that the Jews don't agree with our political views should not allow them to deprive us of our human right of freedom of speech. This Jewish concentration of power in USA gives World Jewry tremendous influence to promote their "special agenda". Never before in American history have so many Jews been appointed as US Ambassadors. They are all members of powerful Jewish organizations. These are hardened supporters of Israel and the "Jewish race". It is impossible for them to put the interests of America ahead of their Zionist state. None would hold these ambassadorships unless they were members of the ruling Jewish elite. Here is their listing which you will never see in the daily press. Germany has long been seen as an adversary of the Jews. Thus a Jewish Ambassador places them under direct Jewish pressure. Rohatyn is a former partner in the Jewish Lazard Freres investment bank. In September the French oil company, "Total," invested $2 billion in the production of oil in Iran. Rohatyn is seeking to Veto this project due to Israel's hostility toward Iran. Rohatyn said; "Globalization doesn't carry a threat, but it carries discipline." Chester Grabowski, editor of "The Polish Post Eagle", and others urged Clinton to name a Polish American. This plea was ignored. There has never been a Jew ambassador to Poland before as Jews hold an animosity toward Poles. This is considered as a gross insult. Regardless, Fried jokingly said: "I will now have to brush up on their language." Dr. Fields attended Marist High. School in Atlanta with the Elson brothers. He learned that their family made a fortune in the textile business and are big contributors to the Democratic Party. This country has long been considered "anti-Semitic". Budapest has the largest Jewish population in Europe, some 125,000 Jews, only exceeded by Paris Thus Blinken can protect their financial interests. At one time Romania was ruled by an all-Jewish Communist Party under Anna Pauka. Romania is closely allied with Israel. Six members of the Rumanian Senate, three of them priests, objected to Clinton's 1994 appointment of Moses stating that he was closely connected to the fallen Communist Ceausescu regime. Antwerp, Belgium is the diamond capital of the world next to Tel Aviv. The diamond business is totally Jew-controlled. Blinken is in a position to further protect their interests. He is related to the Blinken ambassador to Hungary. Belarus is located between Poland and Russia. It once had a huge Jewish population.. They still have interests there. The "Kemalist" Turkey is the only Middle East border country with a military alliance with Israel. They pose a threat to Syria and Iraq over long simmering border disputes. Mustafa Kemal Ataturk was a secret Jewish infiltrator ! This explains the alliance between the Ataturk-influenced military regime in Turkey and the fraudulent and criminal state of Israel! This also explains the opposition of the "kémalian" junta against the rennaisance of Islam amongst the muslim people of Turkey! This is South America's largest country and economic powerhouse. Jews have huge investments here. This is another mineral rich country; copper, magnesium, lead, etc. Davidow was formerly Assistant Secy. Of State for South America under Albright. Mexico sends the US more immigrants and trade than any other nation. Thus Clinton has given both our border neighbors, Mexico and Canada, to Jewish operatives. One would think that this nation would have a Spanish Catholi "Interest Chief" instead of a Jew? Hermelin is a Michigan multi-millionaire real estate developer and president of the World Jewish ORT Union. Re owns Palace Sports and Entertainment, "The Palace" of Auburn Hills and the "Pine Knob Music Theater". Kunin is the former Democratic governor of Vermont. Her four children attended a Hebrew school. The New York Times of Oct. 4, 1997 says she, "doggedly pursues the Swiss on the issue of gold for holocaust survivors."